Out of interest, but possibly also to kill the time, a British army officer in Iraq set down the folktales of the local Shia tribes. In the winter of 1942, in the dead of the Second World War, the British Arabist Charles G. Campbell served as an army officer in Southern Iraq. Out of interest, but possibly also to kill the time, he set down the folktales of the local Shia tribes. The narrators are no longer among us, but their culture has vanished with them in the onslaught of modernity and the brutal repression of Saddam Hussein. 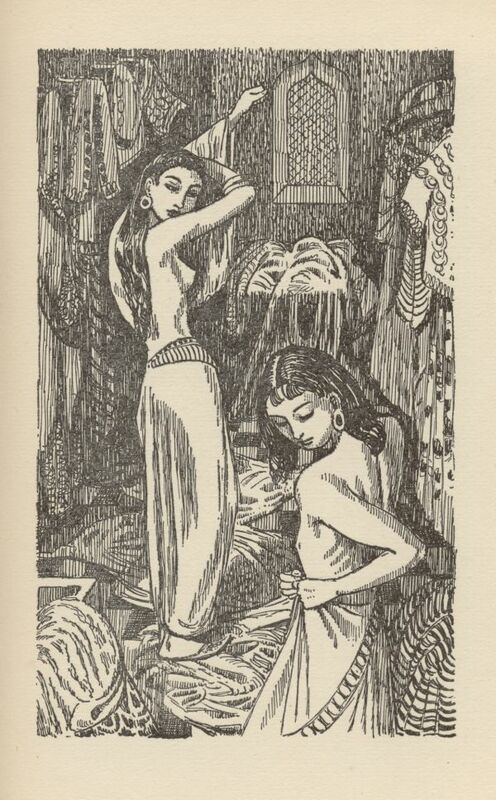 After the War, in 1949, major Campbell published this volume with illustrations by John Buckland-Wright, who also illustrated other Oriental works, for instance the Quatrains of Umar Khayyam and an adaptation of the Arabian Nights by Theun de Vries. This recently acquired copy contains a memo from someone who met Campbell in Muscat in 1951. At that moment he had one year to go as commander of the private army of the Sultan of Oman, but he had already decided not to renew the contract ‘owing to the lonesome environments’. Campbell died two years later in 1953, only forty-one years old.